Tom Dresser cruises through Vineyard history in his most recent book. 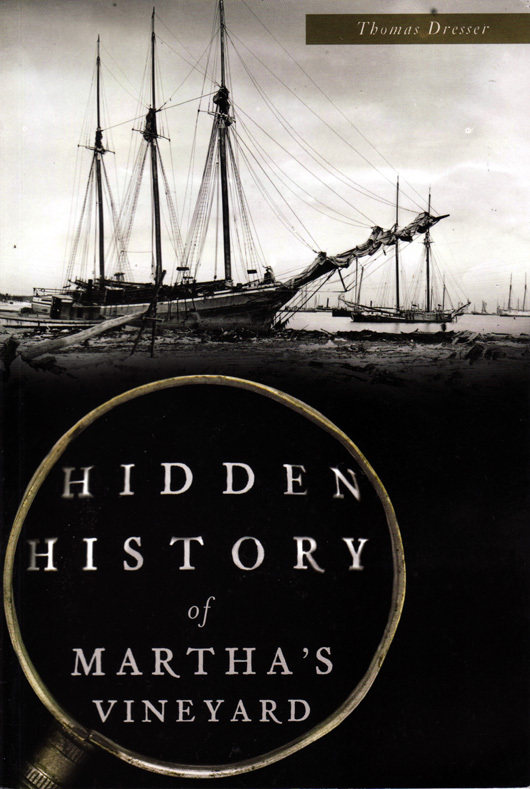 In his most recent book, Hidden History of Martha’s Vineyard, Thomas Dresser invites us to explore who we are as a community through five major topics of historical relevance: Vineyard nomenclature, the Underground Railroad and its Island connection, Vineyard shipwrecks, Island structures and Vineyard graveyards. This is Mr. Dresser’s ninth book about Vineyard history, including Martha’s Vineyard in World War II, Women on Martha’s Vineyard, The Wampanoag Tribe of Martha’s Vineyard, and a few others. “With this book I took five topics and went more behind the scenes,” he said. Mr. Dresser highlights both the dark and light sides of Vineyard history, from our historical participation in the slave trade in the 18th century, to our work with the Underground Railroad. He also studies road signs and nature preserves in order to piece together a communal heritage. Hidden History of Martha’s Vineyard encourages us to deepen our knowledge about the place we call home. Mr. Dresser presents stories and facts in a light hearted and enjoyable way, packed with first-hand accounts, quotes and articles. The book takes the reader on a journey, and along the way answers questions about iconic Island landmarks such as Abel’s Hill, the Dr. Fisher House, Flying Horses Carousel, and many more. And by sharing the sometimes tragic and mysterious accounts of famous Island shipwrecks and visiting Island cemeteries, he pays homage to the final resting places for many on the Island for whom the sea was both their home and final resting place. 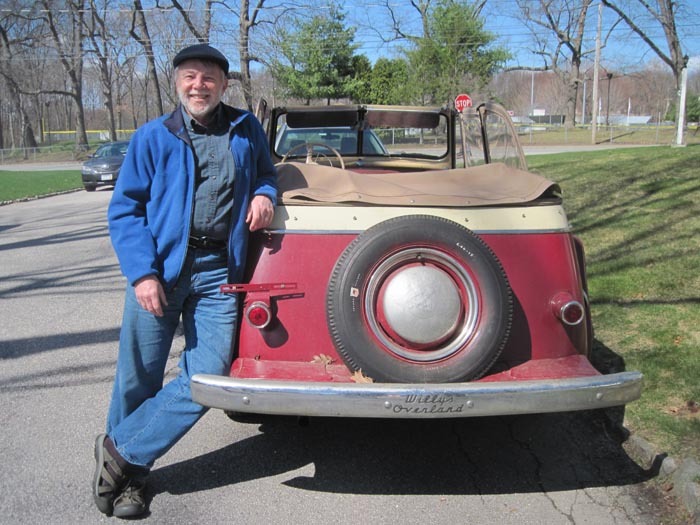 Mr. Dresser will have a discussion on Hidden History of Martha’s Vineyard at the Oak Bluffs Council on Aging Friday from 10 to 11 a.m.
On September 2, 2011 we held a Jeepster Rally, right in Oak Bluffs, lining our vehicles up like a car show. It was a memorable experience. Yes, Jeepsters are certainly part of our hidden history. I heard that sometime resident Bill Murray drives a Jeepster, though not necessarily on the Vineyard.